We've seen several examples of cases designed for the rumored 4.7-inch version of the upcoming iPhone 6, and in a new video, Unbox Therapy compares a 4.7-inch iPhone 6 case to the iPhone 5s, the Nexus 5 and the Galaxy Note 3, giving us an idea of how the iPhone 6 might look next to other large-screened devices. The 4.7-inch case is depicted next to the 4-inch iPhone 5s, the 4.95-inch Nexus 5, and the 5.7-inch Galaxy Note 3. The case is closest in size to the Nexus 5, which gives the best representation of how a 4.7-inch iPhone may feel in the hand. The iPhone 5s looks quite a bit smaller than the case, while the Galaxy Note 3 looks significantly larger. Along with a size comparison, the video points out some of the design features on the case, which may translate to design changes on the iPhone 6. As has been pointed out in other case and part leaks, the sleep/wake button has been moved from the top right of the device to the right side. Rumors have suggested the sleep/wake button might be relocated in order to improve one-handed use on a larger device, and the volume buttons might be altered as well, gaining a rectangular iPad-mini-style shape rather than the existing circular buttons on the iPhone 5s. The iPhone 6 case is also noted to be quite thin, which is in line with previous rumors about the device. According to KGI Securities analyst Ming-Chi Kuo, the iPhone 6 could be significantly thinner than the existing 7.6mm iPhone 5s at 6.5–7.0mm and it may also have a narrower bezel. 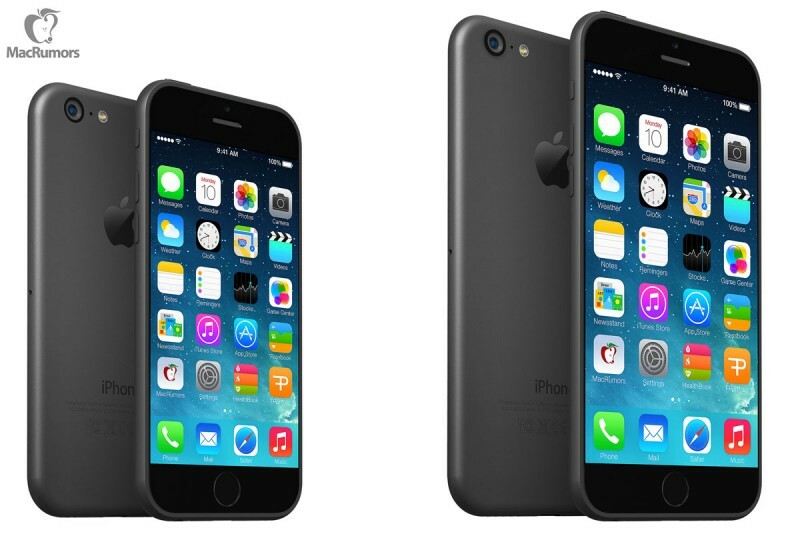 Apple is expected to ship the iPhone 6 in two different sizes, the 4.7-inch version described in the video and also a 5.5-inch version that has reportedly seen some production delays. While the 4.7-inch version of the iPhone 6 may make its debut as soon as September, the 5.5-inch version may not ship until 2015. Along with a thinner profile, multiple sizes, and a narrower bezel, the iPhone 6 might include a sapphire crystal screen, an A8 processor, and camera improvements in the form of optical image stabilization. With all these rumors and speculations... just remember the teardrop iPhone 5. Already been done, and better, by a member here. Support your local forum member. I have a Nexus 5 right now. I do not like the idea of an iPhone that is the same size as the Nexus 5 with a smaller screen, larger bezels, and thinner casing (thus smaller battery). So if this is true, I would much prefer Apple to stop with this whole "make everything thinner attitude." Thinner doesn't equate to better functionality or ease of use. You know how many times I hear people say their iPhone 5s is too thick? Never. You know how many times I hear people say their iPhone 5s battery life isn't what they'd like? All the time. Isn't it funny now apple is making a larger phone. It was only a couple of years ago that Phil Schiller was telling us that wide, large phones are no good for ergonomics. Another fail on Apple's part. Apple has seriously run out of ideas - look at the rate they are buying other companies as well. Unless there are must have iOs apps that you have, make the jump to android now. I did and never looked back. At some point it would be okay to keep the original thickness of the phone if they could give us some amazing battery life. Same goes for laptops etc..
Every time I see that CG mockup of the supposed iPhone 6, I've got to laugh. Who among us believes Apple would revert to the smaller circular camera flash after having adopted the superior pill-shaped flash? So, why show it this way in the mockup? Just because the the "leaked" schematics showed it that way? The schematics are the schematics. If you pick and choose what to believe in them, you might as well throw it all out -- which is fine. A not-valid reaction is "I believe the schematics except for the flash". That's why the mockups depict a round flash.